The bees and wasps love these late flowering gems. 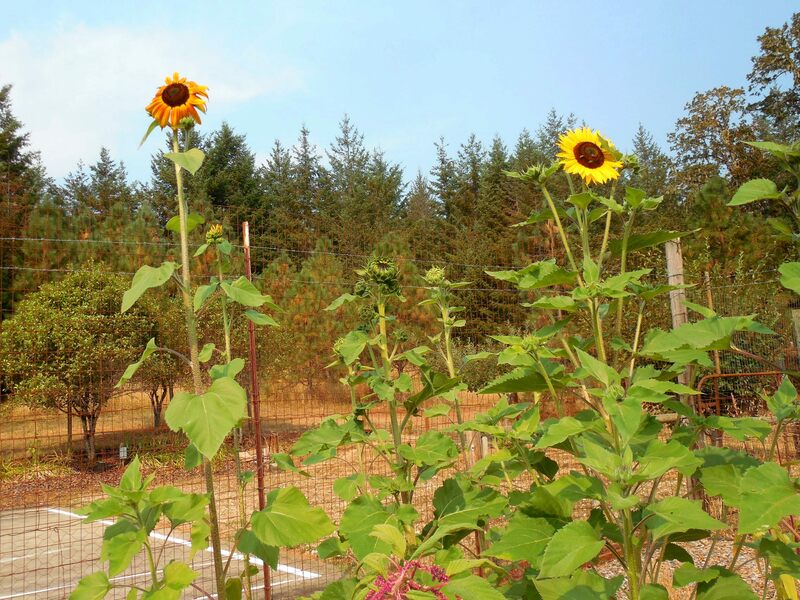 Like ‘brothers from the same mother’, the seeds of these plants came from the same envelope. I will not cut these flowers to bring inside, but leave them to go to seed so the birds can enjoy them later in the season. 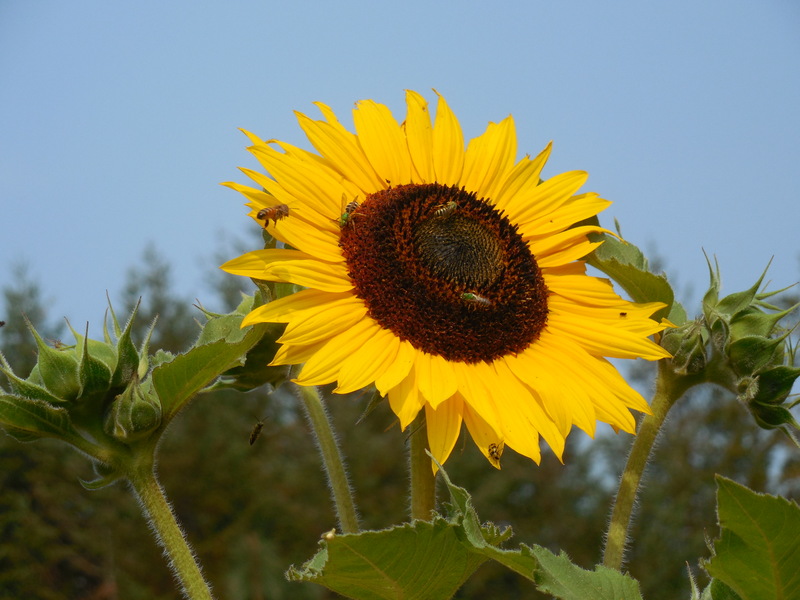 Categories: Uncategorized | Tags: beds, bees, birds, late flowering, sunflower, wasps | Permalink. This plant sent up its leaves months ago in early summer. The leaves are long gone at this time. 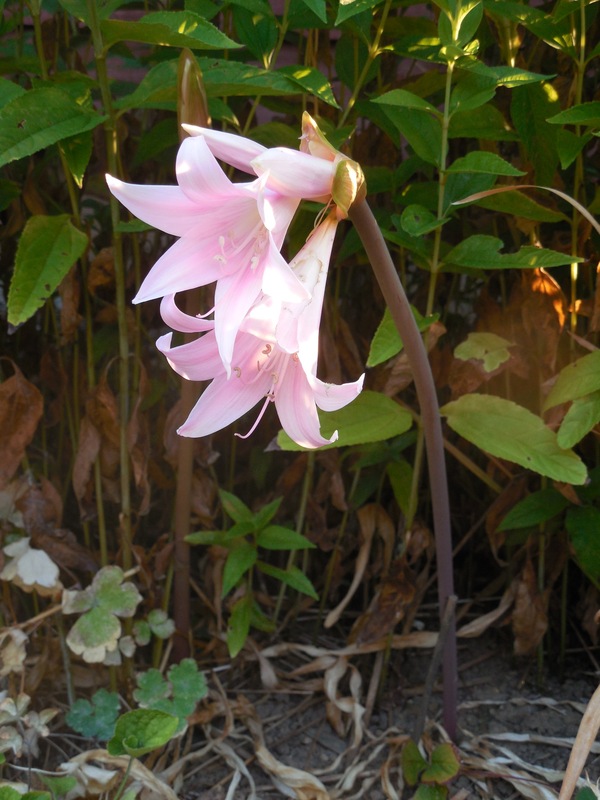 Now it is a bare stem and flower, thus the name Naked Lady. 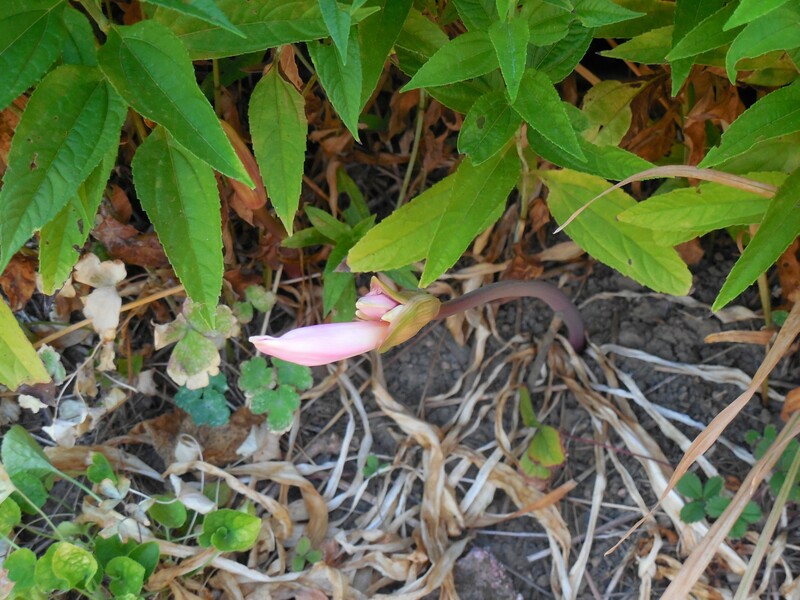 It is always a surprise to me when the flower decides to emerge and bloom. Categories: Uncategorized | Tags: bare, Bella Donna, flower, naked lady, stem | Permalink. Such a beautiful flower, I cannot imagine it as a weed. My first time ever to grow this flower, and I had no idea what to expect. It is about as tall as a cornstalk (5-6 feet, or up to 2 meters), but its ‘tassels’ droop down instead of staying erect, as with corn. – around 12 inches (30 cm) long. The flower on the far end was cut a few days ago. It was laying on a counter and making a mess by dropping pollen. Time to learn how to dry these. 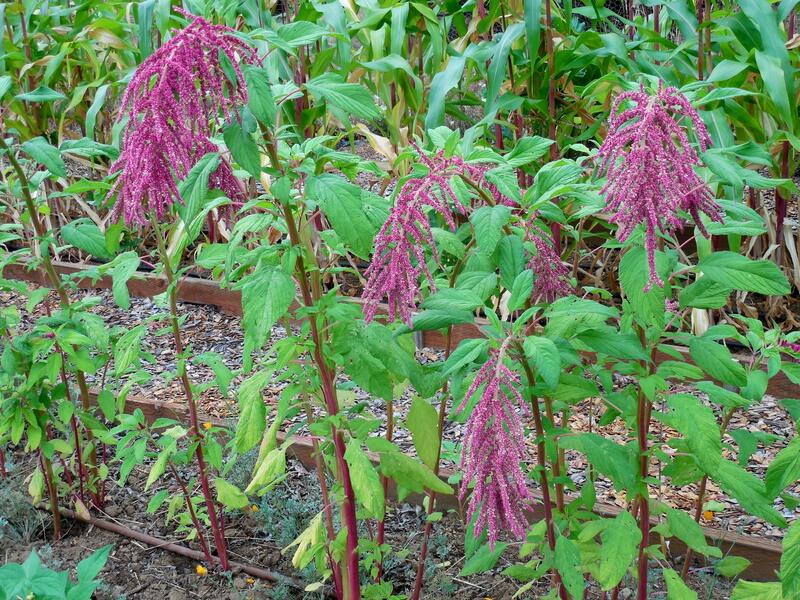 First thing I discovered was amaranth flowers come in erect or hanging forms. A suggestion to keep the fall of the flower was to drape it over a box. This is how I interpret how to arrange these flowers for dehydration. The color of the flower has darkened already. I’ll keep you posted as to the success of this endeavor. 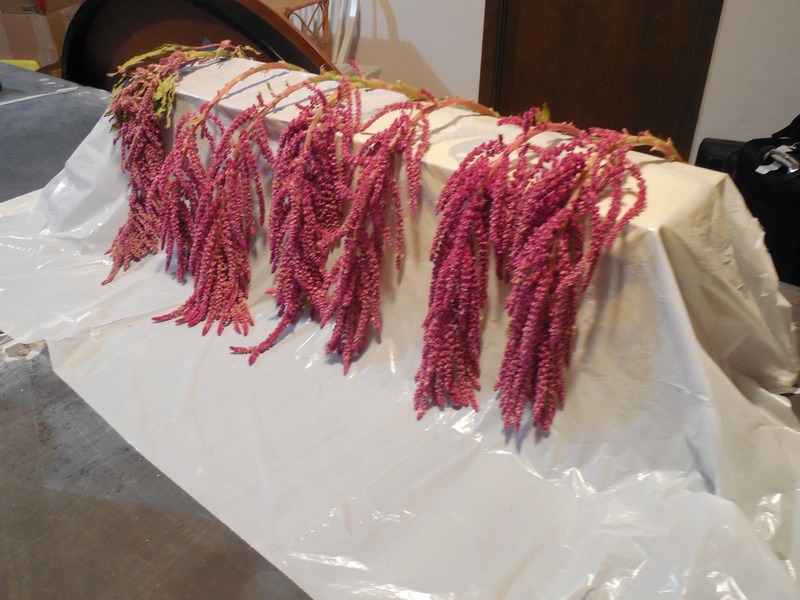 Categories: Uncategorized | Tags: amaranth, arrangements, dehydration, dried, flower, hanging, pigweed, tall, tassels, treasure, weed | Permalink. 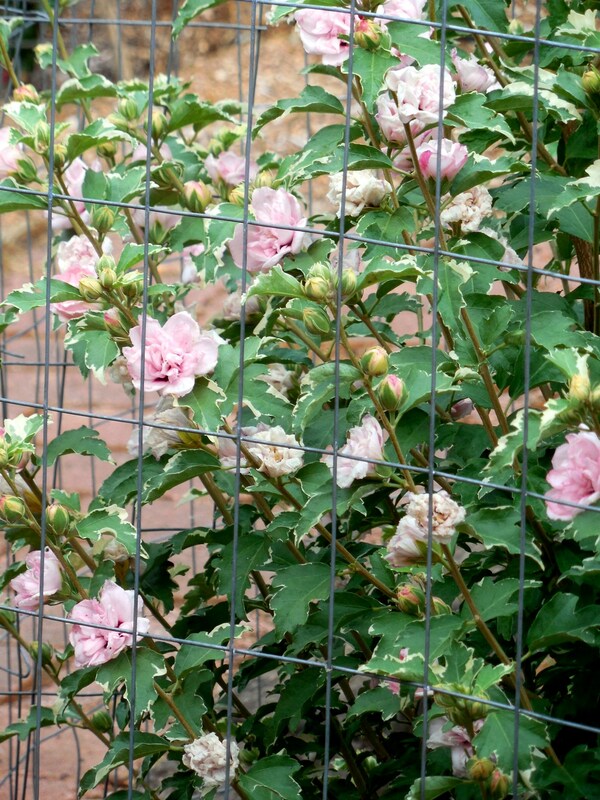 These pastel pink blossoms cover the entire Rose of Sharon shrub. I was looking for a late summer bloomer, and this one really paid off. 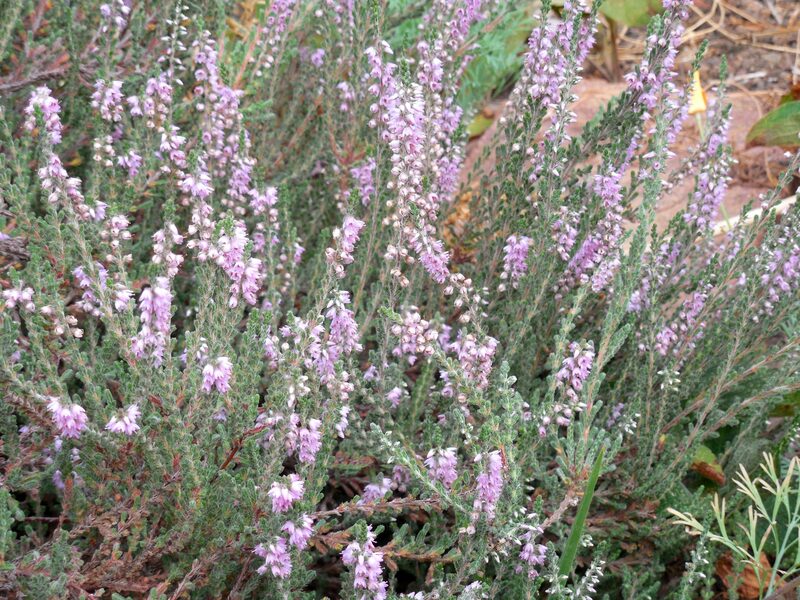 This heather bush is just beneath Sharon’s Rose. Unplanned by me (I can only wish! 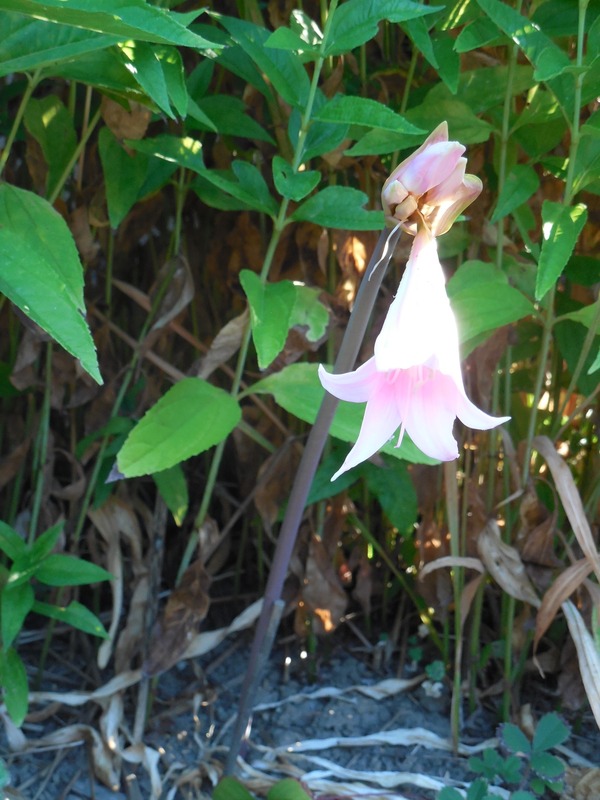 ), the flowers are the same hue. 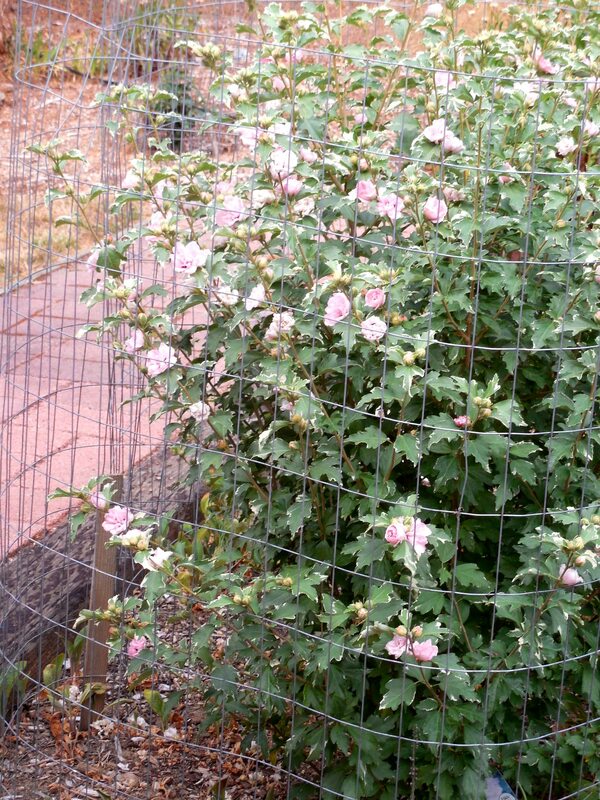 Categories: Uncategorized | Tags: blooms, blossoms, heather, pastel, pink, Rose of Sharon | Permalink. Of course, I had to have some in my garden. 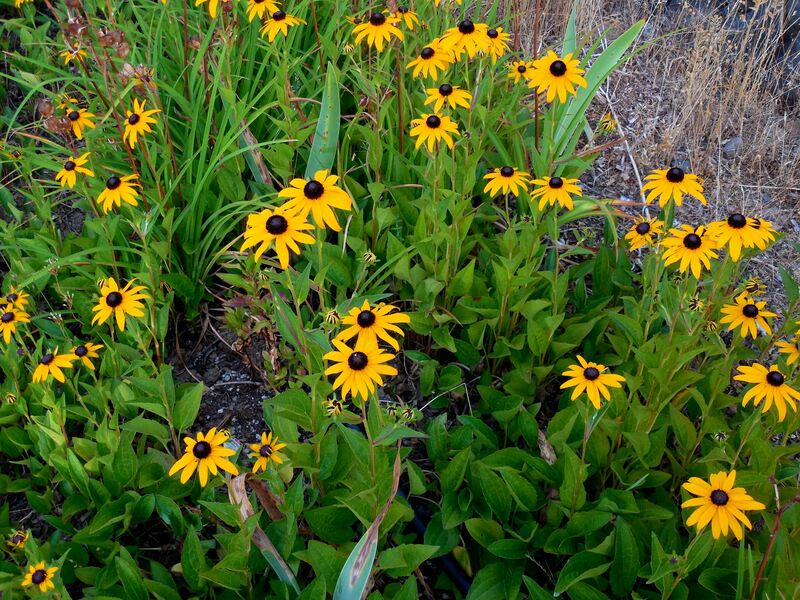 Actually, they are quite welcome, since they bloom later in summer and are drought-resistant. On the down side they do not respect boundaries, and spread easily. The wandering roots can be a plus if one is trying to fill space in a flower bed, but they just do not know when to stop! I wish they were deer-resistant, also. Hey, this is what I can try: in winter (the rainy season) I will move the invasive individuals outside of a protected area to the hinterlands (what I call the further edges of my yard). 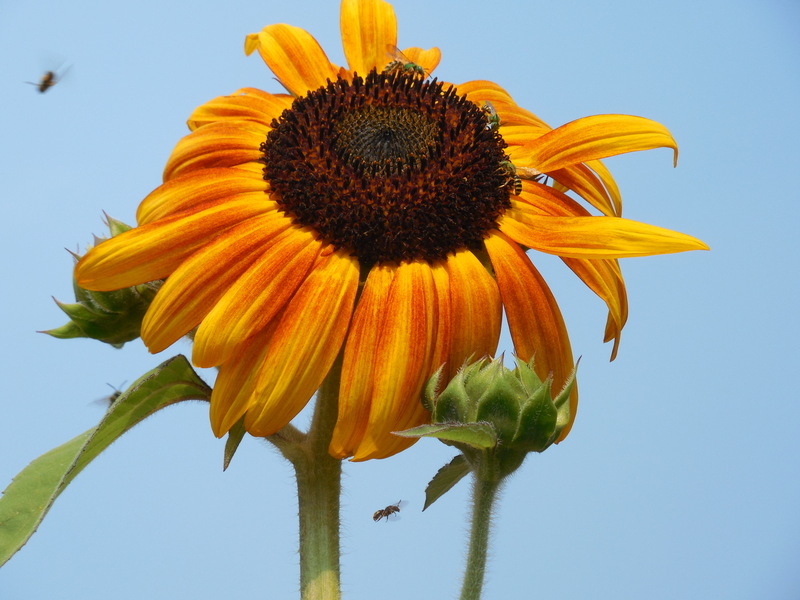 This way I can learn for myself whether local deer find rudbeckia irresistible, somewhat tasty or just leave it alone. 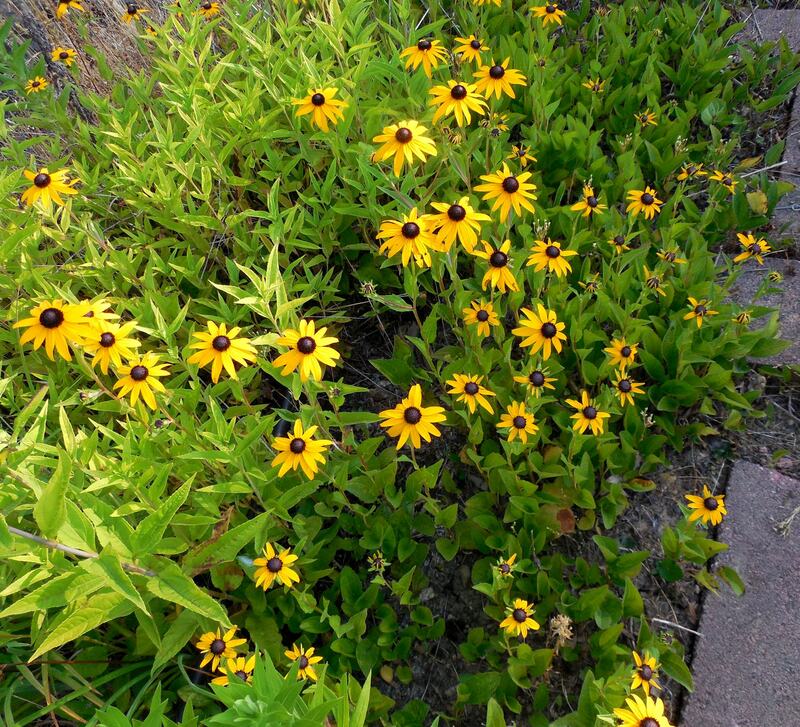 Categories: Uncategorized | Tags: black-eye susan, deer-resistant, drought resistant, flower, invasive, late summer bloom, rudbeckia | Permalink.